Professional Facial Treatments, Waxing and Spray Tan's. Your skin is one of your most precious assets, and every skin is unique. Environs facial therapies are tailored to treat your individual concerns and to nurture and restore your skin, through nondestructive rejuvenating methods. Offering a range of beauty therapy treatments, using Environ the ultimate in Advanced Vitamin skin therapy, skinluxe is your answer to healthy beautiful skin. We will help you achieve your desired results by prescribing the ultimate treatment and products, leaving you with a more radiant healthy glowing skin. At skinluxe we focus on rehabilitating normal skin physiology by nourishing the skin with essential vitamins, nutrients and sun protection. An antioxidant infusion for all skin types designed to repair, strengthen and revitalize the skin. Alpha hydroxy acids are used to remove dead skin cells that cause a dull looking skin, while essential vitamins and antioxidants help to feed and restore a healthy glowing skin. An intensive skin treatment designed to quench even the most dehydrated and lipid dry skin. A restoring and balancing treatment targeting the hydro lipid levels of the skin which are essential for a healthy, firmer and more youthful looking skin. Vitamins are infused into the skin to nourish, renew and improve skin texture and leave the skin feeling plump and replenished. An immune boosting treatment designed to assist in reducing skin irritation and redness. By using a combination of antioxidants, vitamins and growth factors that focus on re-balancing and restoring the skin integrity. An immune boosting treatment designed to reduce skin inflammation and acne eruptions by using a combination of antioxidants, vitamins and growth factors that focus on re-balancing the skins integrity resulting in a more comfortable skin. Mature photo damaged skin and sun damaged skin types. A vitamin C infused treatment to help tighten, brighten and restore skin texture by improving hydration and circulation. Skin will appear brighter, firmer and more radiant. Uneven skin tone and pigmented skin. An intensive treatment for the skin intended to deliver the most effective and intense amount of active vitamins niacinamide and clarifying ingredients to create a natural lightening of the skin evening out dark patches and spots at a cellular level. This treatment will improve skin clarity and assist in reversing the signs of premature aging. Clear Skin Treatment - Problematic skin. A treatment specifically designed to purify, smooth and balance oily and congested skin. An effective anti bacterial exfoliation targeting breakouts with anti-inflammatory ingredients to help calm the skin while essential vitamins assist in healing and restoring moisture to the skin. Scar Management and Resurfacing - Uneven texture and scarring. This advanced specialized treatment helps reduce the appearance of post acne and post surgery scars. The focus is to help diminish the appearance of scars by using high doses of vitamins and antioxidants that feeds the skins upper layers promoting collagen and elastin production. Active ingredients increase hydration levels while re-establishing healthy cell development leaving the treated area noticeably smoother. Peels $95 each or package of 6 $500 buy 5 get 6th free. The Aspect peels are gentle enough for all skin types, yet offer targeted treatments for congestion, dryness and visible signs of ageing including fine lines, wrinkles and dehydration, resulting in restored essential moisture and vitality leaving your skin in optimal condition. The Micro facial is a non-invasive , gentle process using crystals accelerated onto the skin's surface to abrade and mechanically exfoliate layers of dead and damaged skin cells. On completion of the abrasive process, a vacumm suction whisks away the crystals and dead skin particles leaving your skin smoother, brighter, firmer and cleaner. This facial suits most skin types with the benifits of clearing congestion, dehydrated damaged skin, helps with the apperance of fine lines, wrinkles, pigmentation and age spots. This Facial also includes an Aspect enzyme mask and Environ vitamin infusion, leaving your skin absolutely glowing and radiant. skinluxe offers professional Facial treatments, waxing and spray tans. Melbourne's best organic spray tan now in 2 central locations. 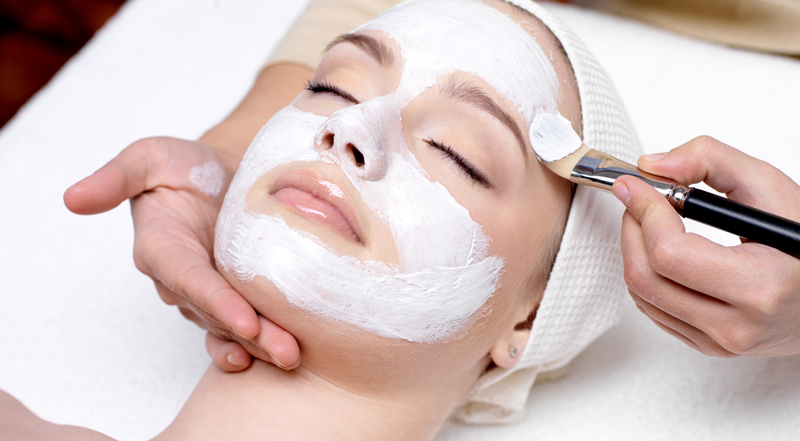 We also offer facials, waxing and eyelash and eyebrow tints. Your skin is one of your most precious assets, and every skin is unique. At skinluxe we will help tailor your visit to treat your individual concerns and to nurture and restore your skin, through non-destructive rejuvenating methods. We focus on rehabilitating normal skin physiology by nourishing the skin with essential vitamins, nutrients and sun protection. With over ten years of experience in the beauty industry, Michelle Piroska, founder of skinluxe, knows that seeing is believing when it comes to your skin. As well as enjoying a fabulous pampering session, clients will see visible improvements in their skin straight away. Offering a range of beauty treatments, using Environ the ultimate in Advanced Vitamin skin therapies and Naked Tan the 2 hour Organic Tan, Skinluxe is your answer to healthy beautiful skin. We will help you achieve your desired results by prescribing the ultimate treatments and products, leaving you with a more radiant healthy glowing skin.